I got a rob tune chip used from someone here on the board and I was wondering about installing it. 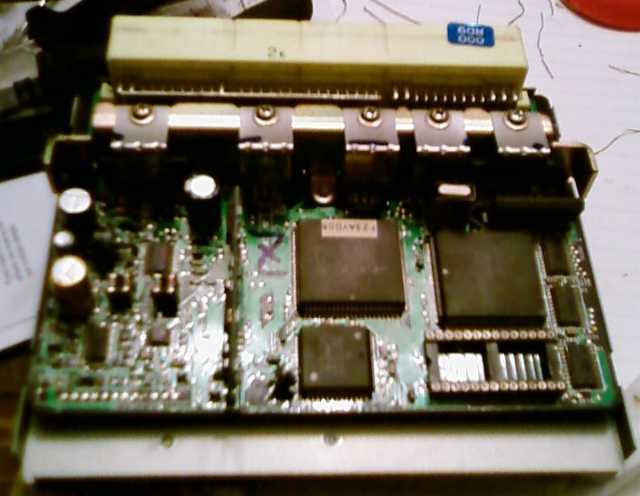 My ecu looks like it already has a socket http://www.alcyone.org.uk/ssm/SP_A0079a.jpg . Is that the correct socket in the bottom right corner . Or do I have to solder in a different IC socket ? Also the chip itself is missing pins on two corners caddy corner from each other is that normal or should I solder in new pins . Thank you for any help I would have bought the chip from rob but it was so aforadable this way . The pic you linked isn't an ej20g ecu. But if you have a socket soldered in your ej20g ecu, that's where the robtune goes. It's hard to say if the pins that broke are in use or not. I feel like you could permanently damage the chip by soldering pins if you apply heat for too long. So personally I'd try it out first before soldering. Remember that j1 needs to be opened to enable the socket. Yes I just wanted to show an example of what the socket looked like . So some 20 g Ecu’s already have the socket and some don’t ? Mine is a 7D . Yes, some had them from the factory. The socket is a common part though. You can pick them up from an electronics store for $5-10.